TJ, the broody Midget White tom turkey. I really thought I'd seen everything. With the advent of Old Tom's shoe fetish (there's really no other word for it) a few years ago, it never occurred to me that things could get any weirder in the poultry world up here. 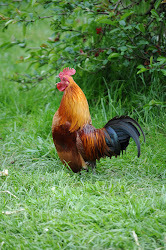 We've seen tiny Nankin bantam roosters attempting to mate with the much larger New Hampshire hens. A Blue Swedish duck who innocently incubated two chicken eggs along with her own clutch of eggs, only to be somewhat bewildered when the chicks hatched a week before her ducklings. 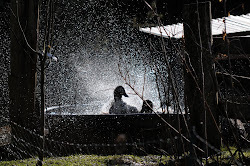 Oh and there was the New Hampshire rooster who shamelessly mounted a Khaki Campbell duck right in front of us. And those are just the first ones that come to mind. 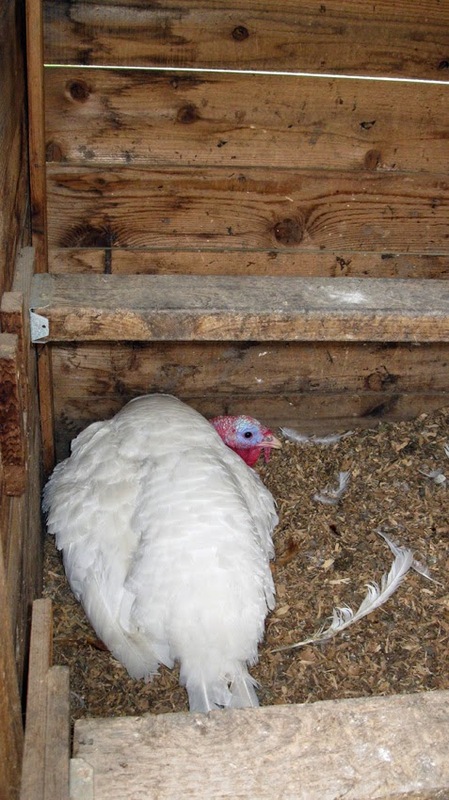 So the other day David came in and reported that TJ, the year-old son of Old Tom (who's 6 years old now), was sitting on some chicken eggs that were laid in a corner of the turkey coop. Not only was he sitting on them (TJ, I mean, not David), but he apparently fluffed up indignantly and actually hissed at David when he came near the nest. This is going to be a short blog post. I mean, what the heck is there to say about this? I confirmed with David that TJ was, in fact, on the nest that very moment, so I did the only thing possible. Got my camera and went to see for myself. I have to admit that I wasn't all that surprised. 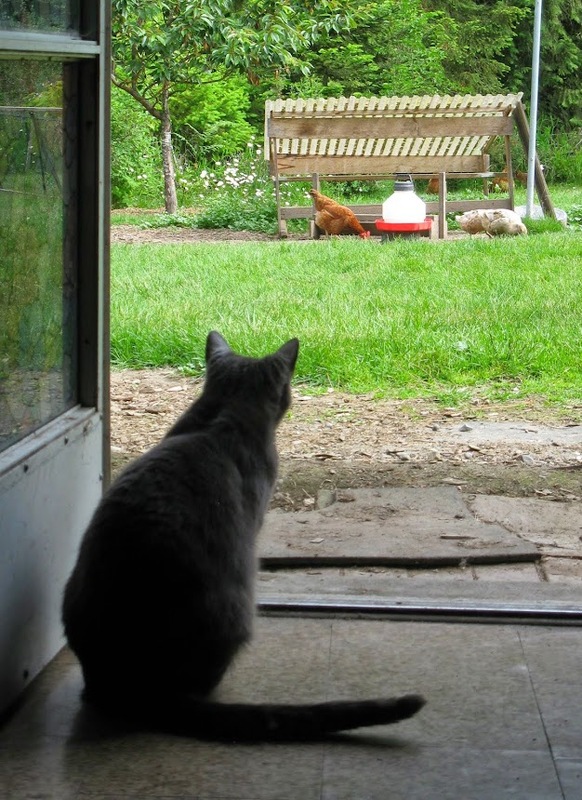 I won't be surprised, either, if Old Tom feels a bit jealous of the attention TJ is getting. Dancing on David's shoes and getting all, ahem, worked up in the process might be funny to look at, but we see that practically every day. 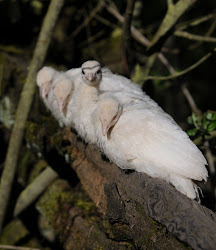 A broody tom turkey, now that's something new and different! What did surprise me was that I didn't have dreams last night of TJ swimming on the Big Pond with his little brood of ducklings. But then, there's still time. You're right. That IS weird. TJ, what were you thinking? ?